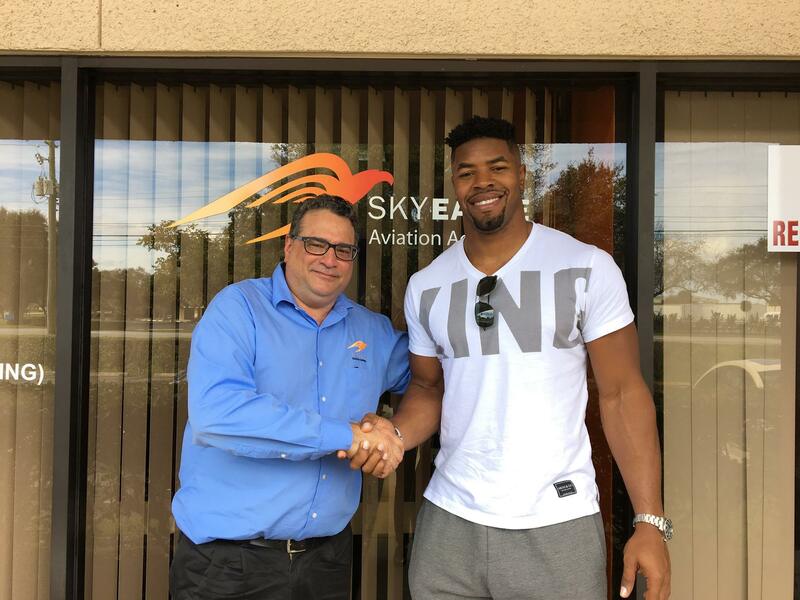 Today we were very glad to meet a famous football player Cameron Wake (Miami Dolphins) at our SkyEagle Air Tours office. 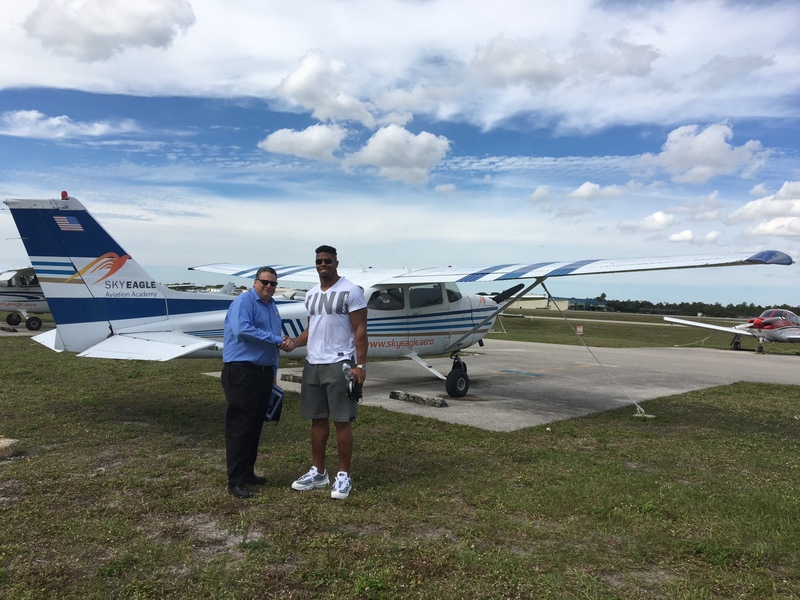 That was a great choice of a Birthday Gift – a discovery flight with SkyEagle Air Tours. Happy Birthday, Cameron! All our friendly team wishes you success in your future games and hope to see you again! We can also make a nice Gift Certificate on your request to make your surprise even better.